Are you getting the results you want from your contact page? Maybe you’ve never given it much thought — it’s a mundane page most of us take for granted. But think about it: Your website exists to make a..
Are you looking to add a contact form on your WordPress site? Not sure which one of the 1625+ WordPress contact form plugins to use? 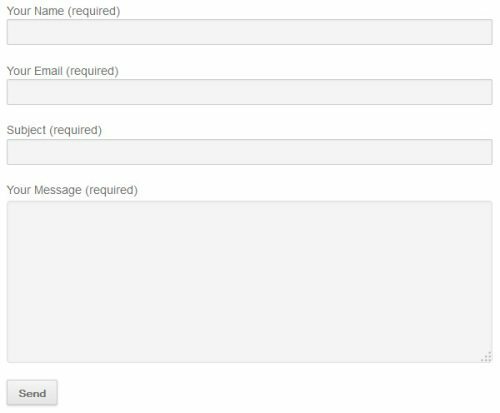 In this article, we have hand-picked the 5 best contact form plugins for..
With over a million active installs, Contact Form 7 is by far one of the most popular WordPress plugins ever. It’s popularity probably has a lot to do with the truth behind its description: “Simple but.. 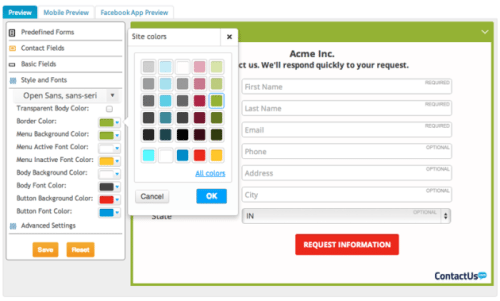 Recently we got an email from a user asking: How do I put my contact form in a popup for my WordPress site? 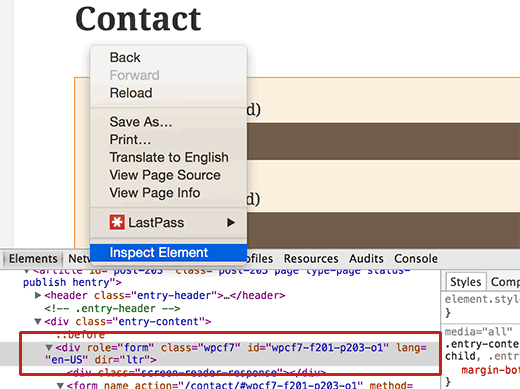 This is a common trend on many sites where when a user clicks on the contact button or link,.. 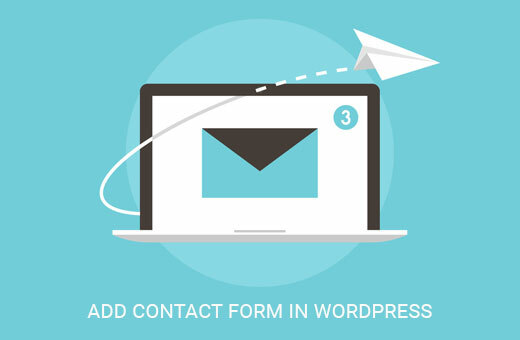 Contact Form 7 is one of the most popular plugins for WordPress. 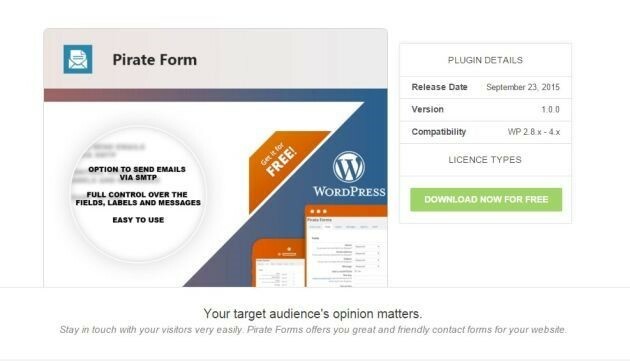 With over 23 million downloads and a healthy 4.4 out of 5 star rating, it’s one of the first plugins a lot WordPress users install on a new..
Big Contact is a free plugin that lets you enhance the contact page of your WordPress website. By using this plugin you can easily add a range of useful information to any post or page on your site. This..
We all know that having a contact form on your site is essential for most types of website and there are a number of free and premium solutions available for adding a form to a page of your choosing. The.. Most websites are typically designed to comply with standard web practices by including a dedicated page where a contact form is located. This provides visitors with an easy way to reach out to the site.. 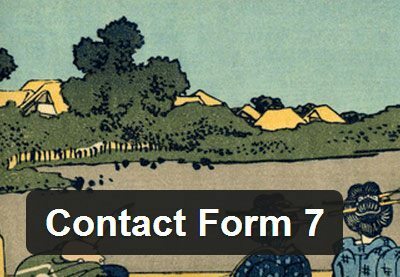 Contact Form 7 is one of the most used free contact form plugins. At the time of this article, it has more than 16 million downloads. I think it is just right to consider it the most used contact form.. The three most important pages in a business website are About, Services & Contact. You might not know it, but many high profile businesses have a clumsy online portfolio, with poor navigation. Such factors..
One feature common to almost every website in the world is the contact form. It can be used to collect feedback, complaints or useful information from website clients and users. 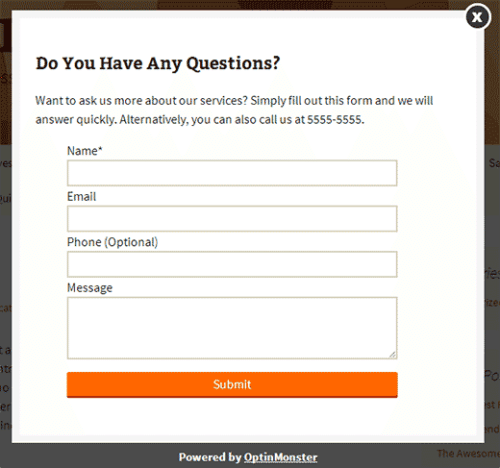 A typical contact form..
nderstanding your audience is crucial for the success of any business or community. One of the best way to get to know your audience is by asking them questions via online surveys on your site. In this.. The customer is king. This universal mantra holds true even today. Customers are the backbone of a company—and for that reason, your services and products should always be accessible to them. Today, having a..
We’ve built dozens of tools and plugins, modeled best practices from other form creation and conversion rate optimization companies, and focused on making enterprise tools available for everyone. We’ve spent.. 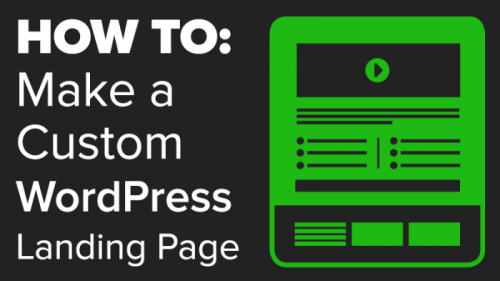 The following is a step-by-step guide to making your own custom landing page template in WordPress with Gravity Forms. Go to your active WordPress theme’s folder (i.e. /wp-content/themes/theme/) via FTP and..
Over 5 million users rely on MailChimp to deliver their email marketing campaigns and undoubtedly that number includes a good many WordPress users. Perhaps you are one of them. If, like most WordPress and..
Every time, I develop a new website, I am left searching for the best WordPress contact form plugin – it’s usually because a client doesn’t always like a simple contact form. Contact Form is the most..